Cedar Grove is located at the bottom of Kings Canyon and features terrain similar to Yosemite Valley. Surprisingly, this is one of the least crowded areas of Sequoia and Kings Canyon National Parks! Please note that due to unexpected road work on Highway 180, Cedar Grove will close for the season on Monday, October 22, 2018, at 10 a.m. The Highway 180 closure will be just east of Hume Lake Road. Located 35 miles east of Grant Grove, Cedar Grove features a wide range of stunning natural wonders. The area is known for its towering cliffs, massive trees, cascading waterfalls, the powerful Kings River, and Kings Canyon, which inspired the park’s name. Two prominent rock formations -- North Dome at 8,717 feet and Grand Sentinel at 8,518 feet -- rise to dizzying heights above the canyon floor. Many spectacular trails to the backcountry also originate in the Cedar Grove area. 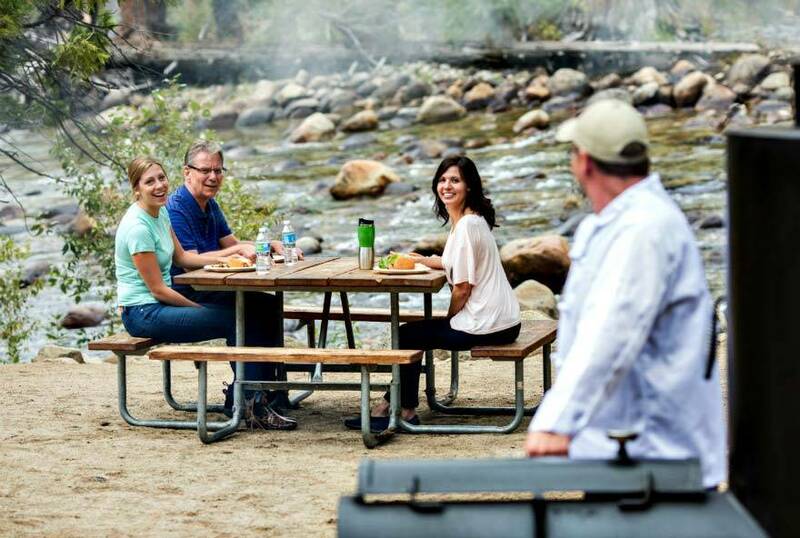 Pack a picnic lunch, grab your hiking shoes, and journey to the Roads End on Highway 180. Make sure to stop and take in the spectacular views from the many scenic viewpoints this area offers. Don’t forget a camera, and be sure to give yourself at least a few hours for hiking, sightseeing, and enjoying the beautiful natural backdrops provided by the canyon. After you’ve fully unplugged and immersed yourself in the stunning surroundings of the High Sierra sans cell phone, tablet, or laptop, you can reconnect in Cedar Grove with access to Wi-Fi while you grab a bite to eat or pick up unique gifts and souvenirs from the Cedar Grove Market. Located next to the Cedar Grove Snack Bar, the Cedar Grove Market offers everything from the essentials to unique knickknacks to help you commemorate your visit to the park. Looking for a great deal? Stop by the Cedar Grove Market around October to take advantage of excellent end-of-the-season sales. Plan your visit to Sequoia & Kings Canyon National Parks and be sure to set aside some time to explore all that Cedar Grove Village has to offer! When contacting us, please provide your name, desired contact information, and the reason for your inquiry. If you have a reservation, please include your dates of stay and confirmation number in your email. Receive important updates and specials! 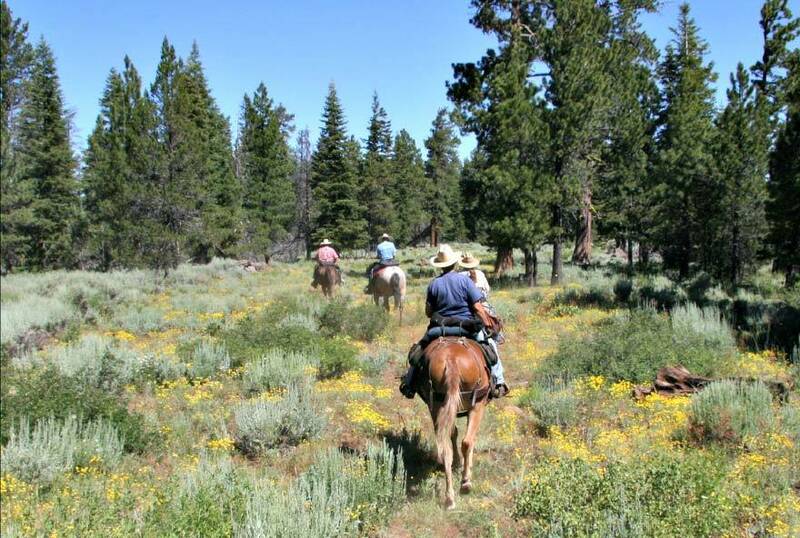 Horseback riding offers visitors a unique perspective on the stunning scenery at Sequoia & Kings Canyon National Parks. 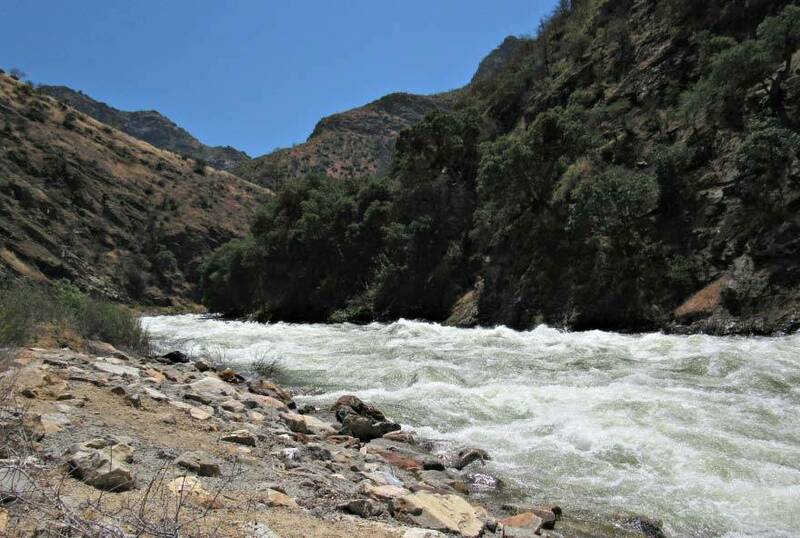 The South Fork of the Kings River races by Cedar Grove, and is best seen from a safe distance. Serving light meals and snacks, Cedar Grove Snack Bar offers diners indoor and outdoor seating, and also the chance to enjoy a snack or meal overlooking the Kings River.